It’s no secret that I have a love for all things beauty. My bathroom is like a worldwide pharmacy and my first phrase when I step off the plane in the US is ‘Can we go to Walgreens?’ I can’t help it. I seem to have curbed my impulse spending in Boots these days as I’m now more disciplined writing lists, so I strategically planned out each of my beauty pit stops in Paris. 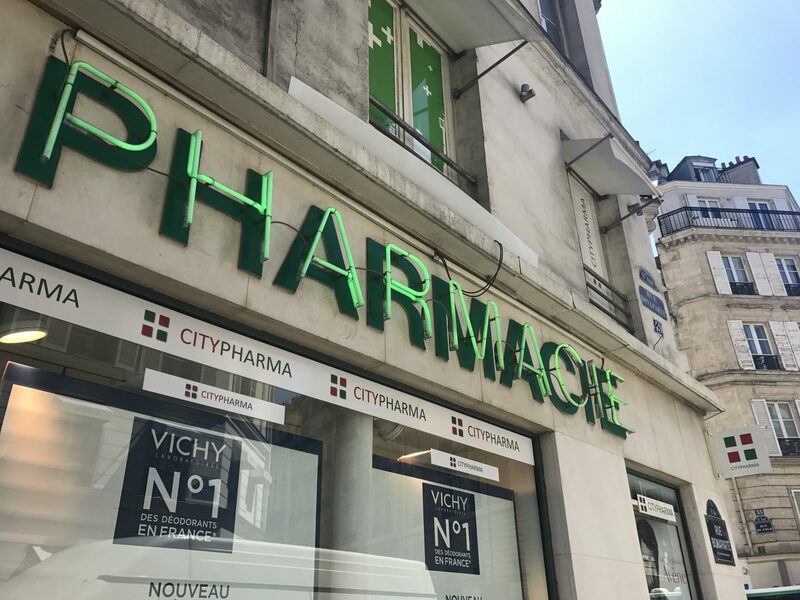 Starting with the mecca of all French pharmacies. Now I understand why everyone says get down there early! The place is bigger than your average pharmacy but there’s so much crammed in that the aisles get super crowded, it’s actually quite overwhelming. Go in knowing what you want. Everyone around me had handwritten lists in their hands. I went in knowing exactly what to throw in my basket so we could get in and out nice and quickly. It really is worth the jostling around as everything I picked up was a couple of €’s cheaper than in small pharmacies we popped into dotted across the city . 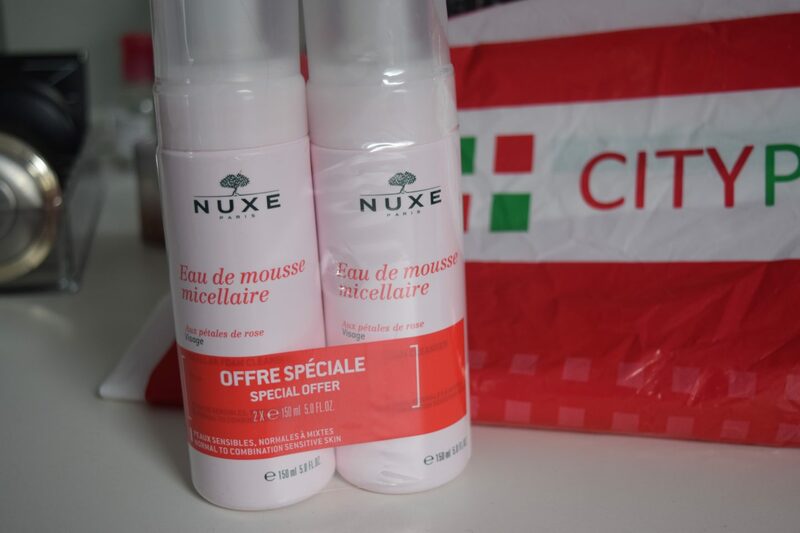 Nuxe Micellar Foam Cleanser with Rose Petals – Retail in the UK for £14 each. I’ve recently been advised not to wash my face in the shower with foaming cleansers but this rose water one is one of my favourites and it was on special in a twin pack so I them up for days when my skin’s super dry. 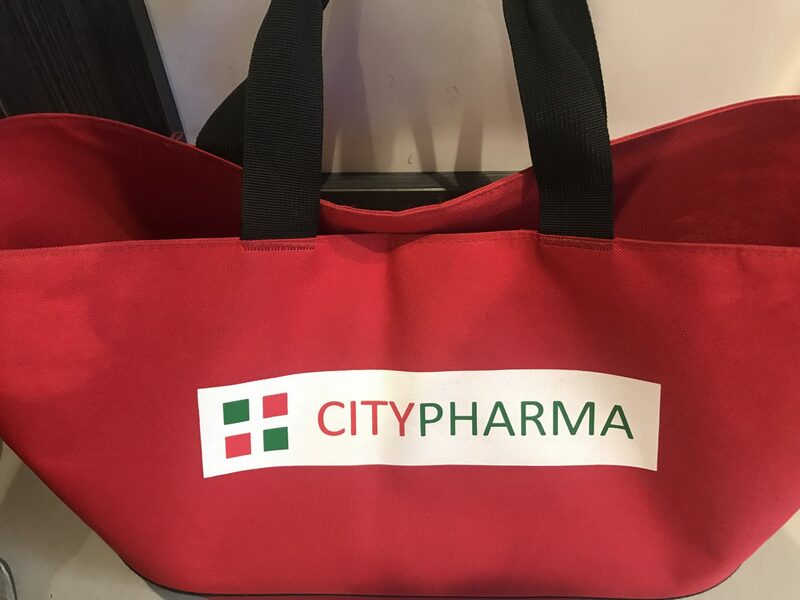 Citipharma price €15 for two. 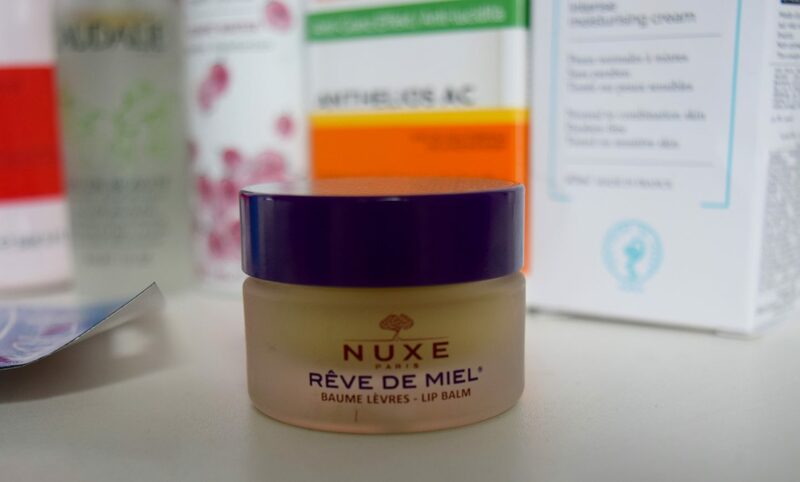 Nuxe Rêve de Miel® Ultra-Nourishing Lip Balm – Retails in the UK for £9.50. This lip balm is one of the best I’ve ever used, that isn’t at a ridiculous price point. I love that it’s matte so I can apply any formula of lipstick over the top. They were on promotion with fun ‘glam’ packaging so I picked up the purple. 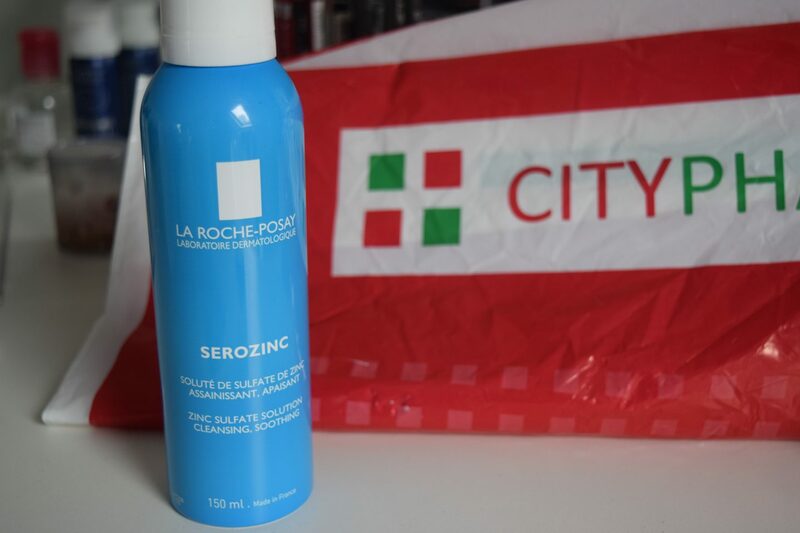 Serozinc is my favourite face spray for summer. I love that it comes in an aerosol so the spray is continuous and it rehydrates my skin but keeps the oil at bay. I use it at the toner stage of my morning routine. This sunscreen is specifically formulated for oily skin, it’s lightweight and non greasy plus it contains all the right ingredients to protect my face. I actually wanted SPF 50, but there was only 30 in stock. 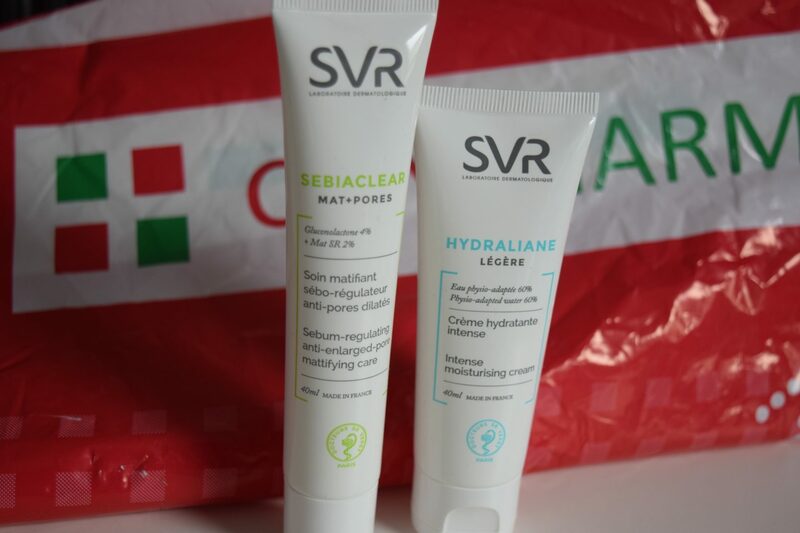 SVR Hydraliane Légère a light hydrating moisturiser instead of the Bioderma Hydrabio light moisturiser as they’ve now changed the formula I was familiar with to a gel. I prefer the SVR scent, it absorbs into the skin quicker and is made to hydrate combo skin so it leaves my face nice and matte. SVR Sebiaclear Mat + Pores instead of Effaclar Mat by La Roche-Posay. It’s a lighter consistency, I’ve been using it as a primer as it refines skin texture and regulates excess sebum. Caudalie Beauty Elixir – Retails in the UK at £12 for 30ml and £32 for 100ml. I like to keep this in my handbag alongside my mini JM fragrance as it refreshes my skin through the day nicely on top of make up. I’m not a big fan of the scent though. I find it very similar to Mac Fix+, which I actually prefer. They had the larger size for €27, I picked up the the 30ml for €6. 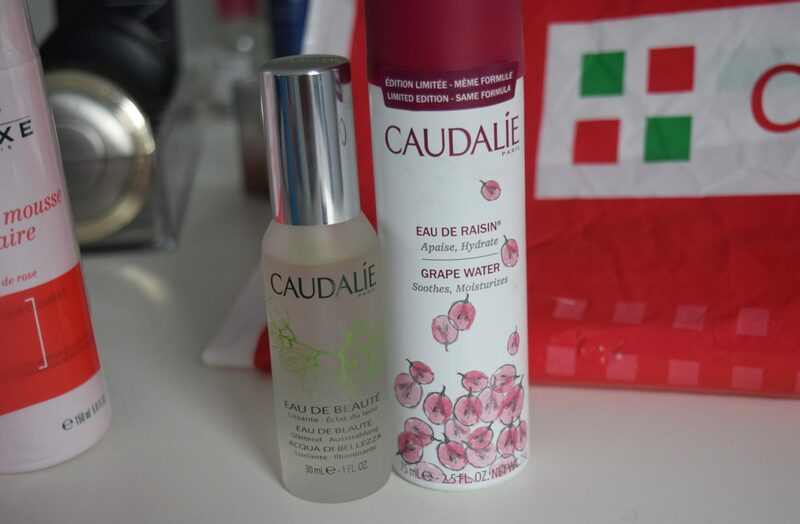 Similar to the Avene Thermal Water, Caudalie’s grape water aerosol is my favourite soothing spritz for when I’m hot in the sunshine so that and the Athelios SPF will be going straight in my travel bag for Ibiza!! Sephora in Europe is nothing like the beauty haven that it is in The US so I wasn’t at risk of going too crazy. I was also on my best behaviour because the exchange rate isn’t too good for us at the moment and everything actually worked out 3 or £4 more expensive in Paris. I love their own brand body creams and sheet masks though so that’s all I really went in for. 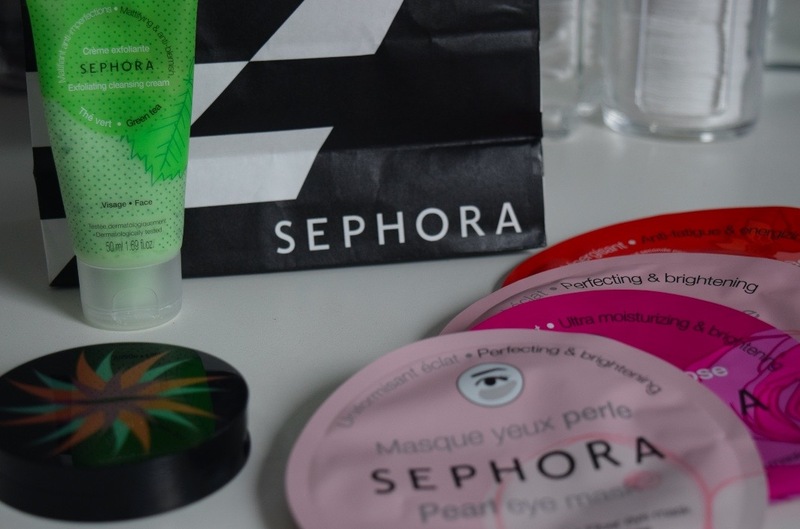 Sadly, they no longer stock the body care items in my favourite vanilla scent but I did get a green tea face scrub and a couple of my favourite sheet masks. 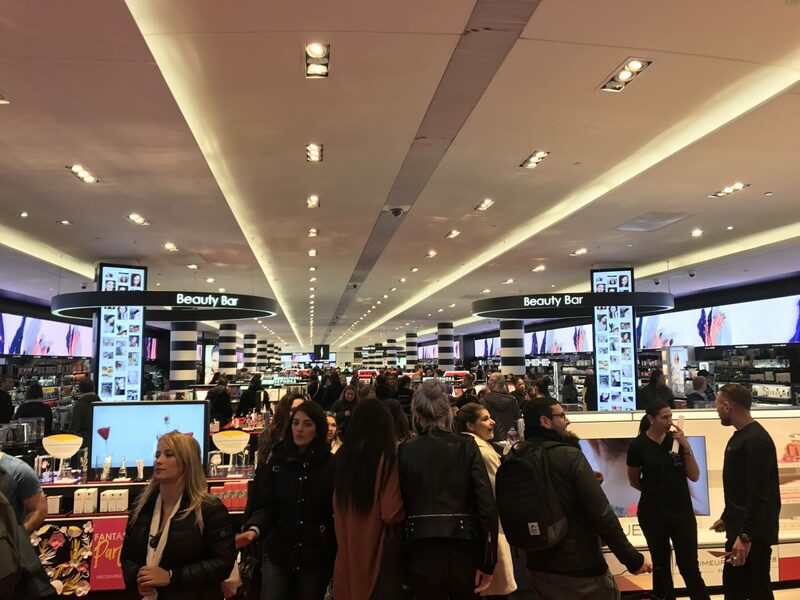 They stock brands like Marc Jacobs, Huda beauty and Anastasia which aren’t easy to find in the UK. I’m sad that Tarte is yet to expand to Europe. A lot of stock is slightly behind in release date too so I’m glad my brother and his girlfriend are going to the US with my list in a couple of weeks!! 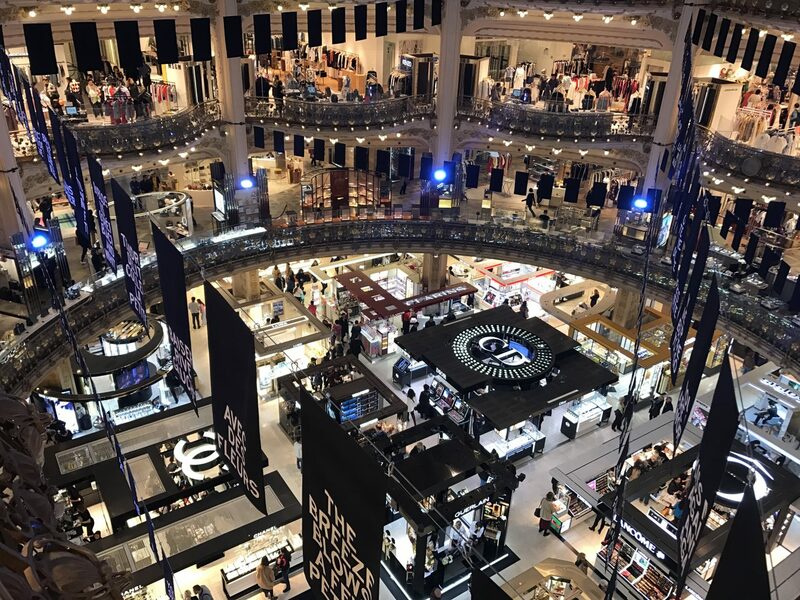 Galleries Lafayette has the most spectacular beauty hall I’ve ever seen. I’d seen pictures online of the spectacular stained glass roof and the view from the balconies overlooking the beauty hall, but it was even better in person. Absolutely stunning! Looking down at all the luxury brands just made me want to spend tons on make up! We walked through and they literally stock all my favourite brands from Caudalie and Loccitaine to Guerlain and Lancome. The sales assistants all spoke amazing English, were really helpful and not at all pushy. 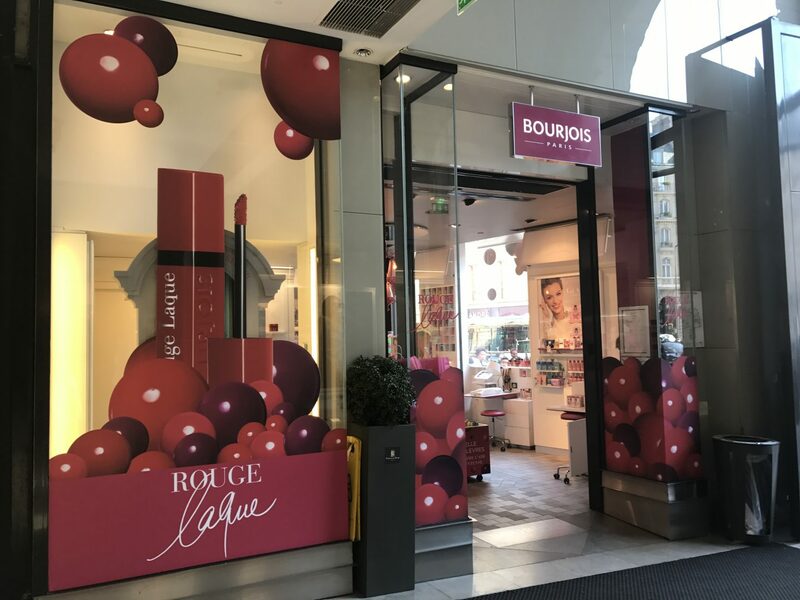 Bourjois have a lovely boutique in the Passage du Havre shopping arcade behind the department stores. 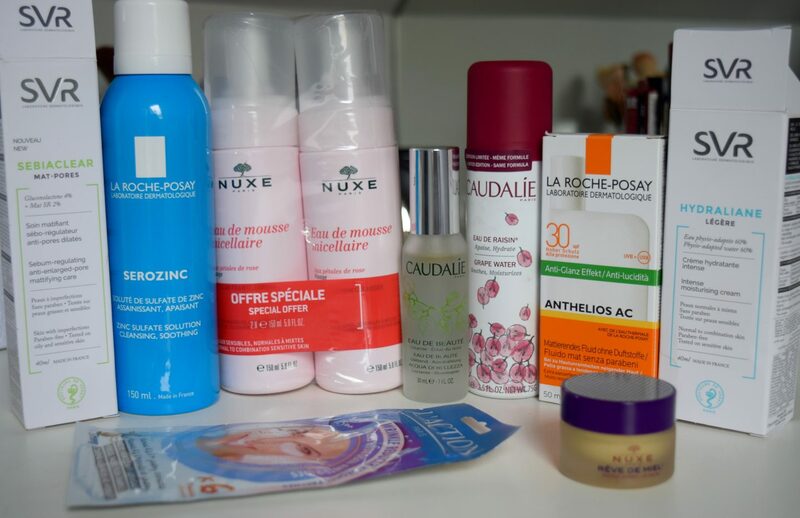 The product range was vast compared to what we have on offer in Boots or Superdrug, but again because of the rate everything was quite expensive. Seeing the extensive range of foundation colours bought up my continuous disappointment in UK drugstores stocking such a limited shade range. it was nice to see they are available beyond shade 4 – which is even to light for me! They also offer a make up application service. 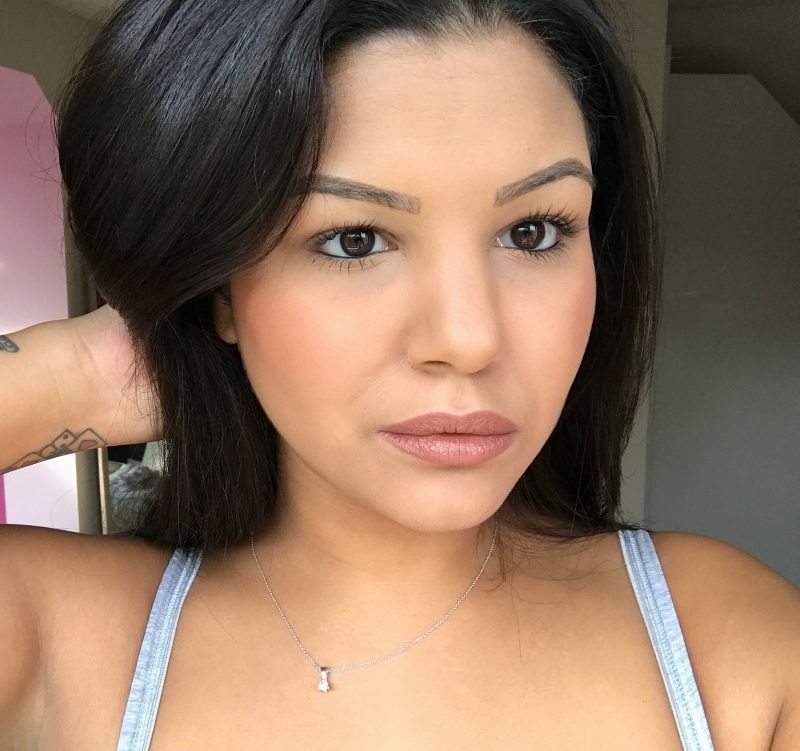 You can go for a full face or just your eyes as well as lessons. 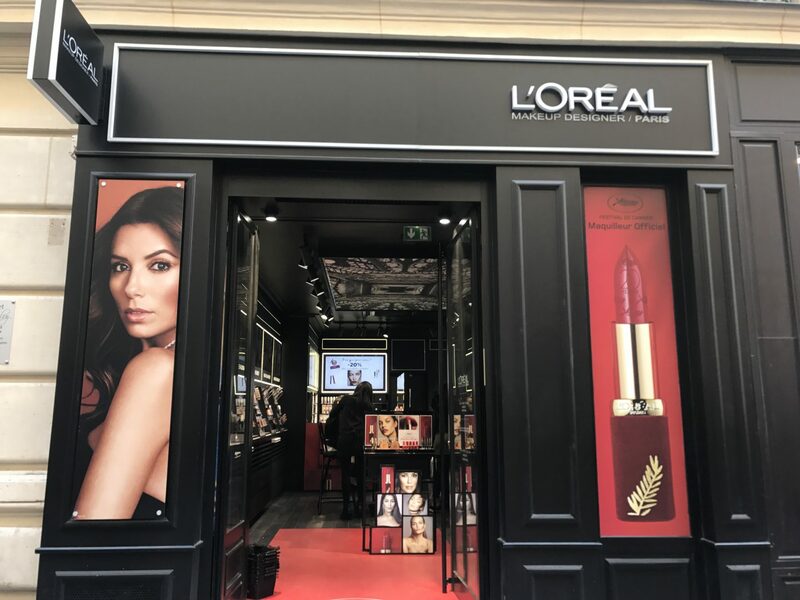 L’oreal is my favourite drugstore brand so I was pleasantly surprised to find an individual boutique in Paris. I find all their products to be consistently high quality. 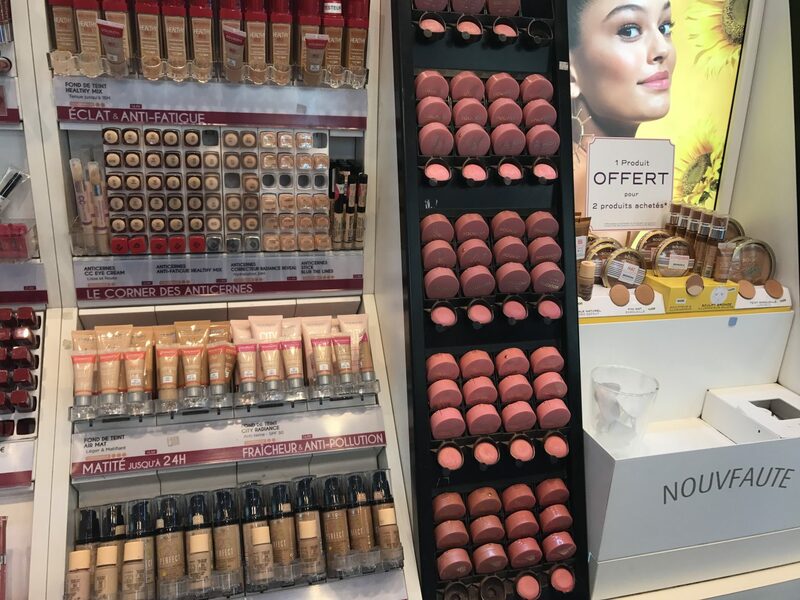 It was nice to see the whole range in its own environment, as well as palettes and shades that have been limited in the UK. They also offer a make up application service, there were 2 ladies getting their make up done when we popped in. My favourite part though was that they had some of their minis and popular items packed up as great gifts by the till. 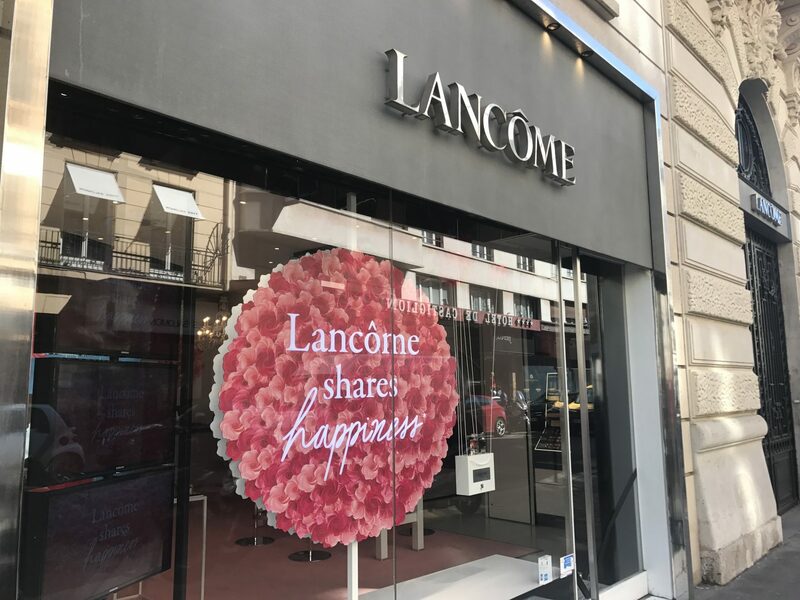 We also saw a Lancôme boutique, I wanted to pick up their new ‘Monsieur Big’ mascara but it hasn’t been released yet. And there are various Guerlain boutiques across the city too. They’re so luxurious and ornate they feel far too fancy for me, I definitely need to richer. I can only dream of affording €60 bronzers, maybe next summer! 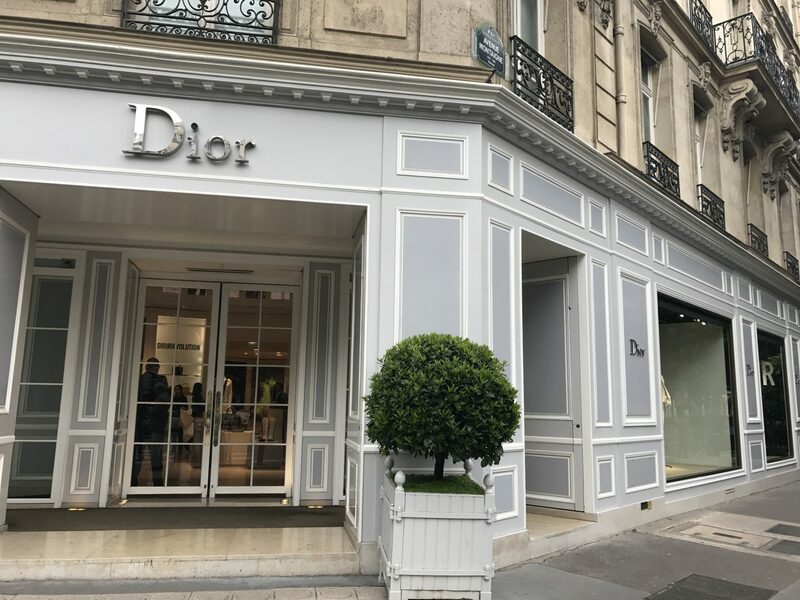 Sadly the Dior pop up I’d seen online wasn’t there anymore. 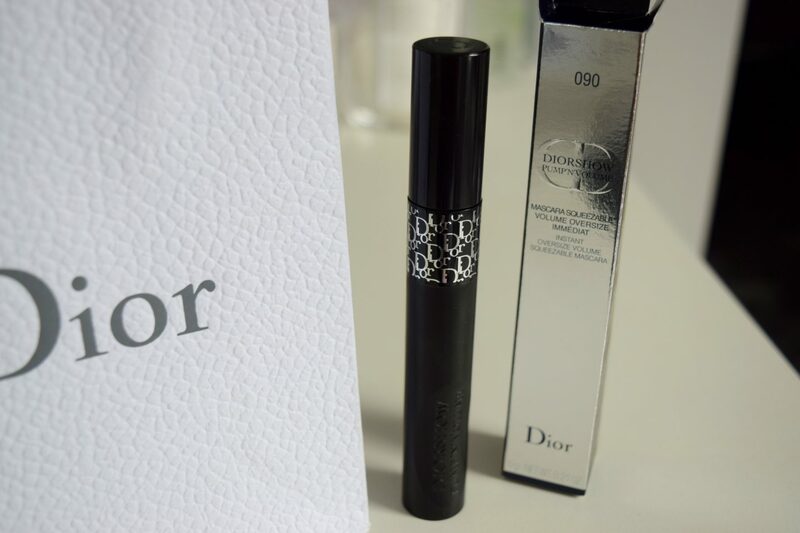 I did get the new pump and volume mascara from the Dior on Ave Montaigne though because I felt like wherever I looked Bella Hadid was flaunting it in my face on the campaign poster! It feels a bit gimmicky. I’m not a fan of the rubber tube and I’m still not sure if it’s just half a tube of mascara to allow for the squeeze but I treated myself to one anyway and it makes my lashes look incredible with just one coat. Even though the exchange rate didn’t really work in our favour I had an amazing experience in Citipharma and got a fair amount of products to last me til at least the end of summer. The rest of my shopping was quite restrained but I love meandering in and out of the small boutiques and seeing the seasonal or limited edition products they had on offer.